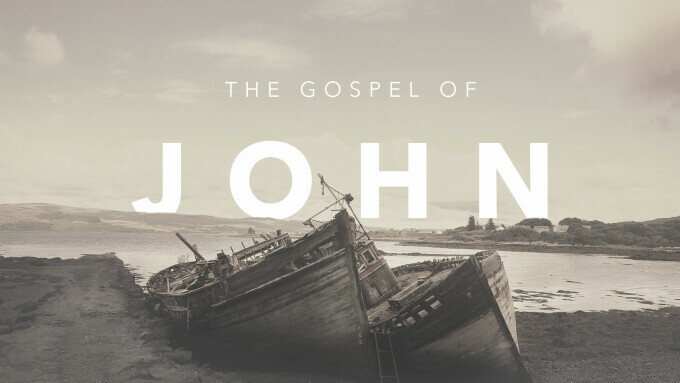 As we study the first chapter of the Gospel of John, we come face to face with the extent of the Love of Jesus. In his incarnation Jesus came to feel what we feel to show us what God is really like. Being perfectly human, Jesus demonstrated what it looks like to prioritized our lives in the greatest possible way. Jesus is not only the living example of the abundant life but He is the Savior of our lives. The incarnation became the gateway to the cross. Jesus became a man to lead us to God through the cross. Paul Harvey tells about a raw winter night on which a farmer heard a thumping sound against the kitchen door. He went to a window and watched as tiny, shivering sparrows, attracted to the warmth inside, beat in vain against the glass storm door. The farmer bundled up and trudged through fresh snow to open the barn for the struggling birds. He turned on the lights, tossed some hay in a corner, and sprinkled a trail of saltine crackers to direct them to the barn. But the sparrows hid in the darkness, afraid of him. He tried various tactics: circling behind the birds to drive them toward the barn, tossing crumbs in the air toward them, retreating to his house to see if they would flutter into the barn on their own. Nothing worked. He had terrified them; the birds could not understand that he was trying to help them. He withdrew to his house and watched the doomed sparrows through a window. As he stared, a thought hit him like lightning from a clear blue sky: If only I could become a bird—one of them—just for a moment, then I would not frighten them so. I could show them the way to warmth and safety. At the same moment, another thought dawned on him: He had grasped the whole principle of the incarnation. A man becoming a bird is nothing compared to God becoming a man. The concept of a sovereign being as big as the universe confining himself to a human body is too much for some people to believe (cited in Swindoll, The Tardy Oxcart, pp. 294–95). “When I was in sixth grade and living in Calgary something happened in my life that forever sealed this Gospel into the very core of my being. During that time I was placed in an isolation hospital for nearly a month and told that I would not be able to bring anything out when I emerged—everything would be burned! It was one of those old hospitals that had no telephones or radios in the rooms and certainly no television yet. I was left to myself without any direct means of communication with the outside world and every four hours for days was punctured with penicillin. May God challenge us as we spend time in the book of John. I’m sure we will not be isolated in the hospital for weeks like Gerald Borchert but spending a few minutes in God’s word each day will draw us near the Savior. Memorizing the word of God always brings significant change. 1Gerald L. Borchert, John 1–11, vol. 25A, The New American Commentary (Nashville: Broadman & Holman Publishers, 1996).